Home | What do you know about municipal planning? What do you know about municipal planning? 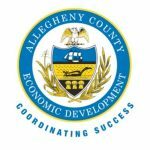 If you’re involved with planning or zoning in your municipality, or you’re interested in learning how those processes work, you may want to attend an upcoming workshop being sponsored by Allegheny County Economic Development and the Pennsylvania Department of Community and Economic Development. “The Local Development Review Process from A to Z” will cover information that municipal officials need to know about applications for development, such as: What permits or approvals are needed? Who is involved in the review? What are the timelines? Refreshments will be available at the Frazier workshop, while a light meal will be provided at the Ross, Whitehall and Carnegie workshops. For more information, contact Andrew Hartwell at 412-350-1360 or email andrew.hartwell@alleghenycounty.us.